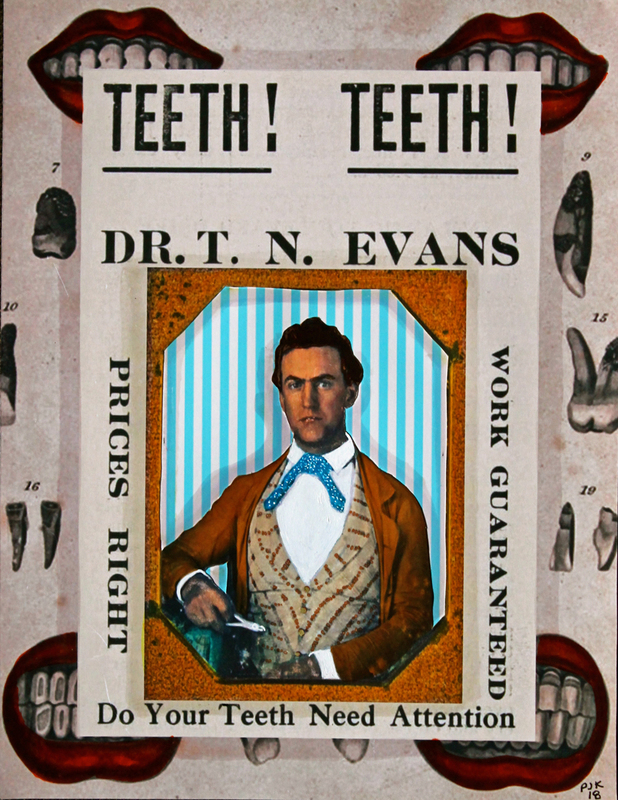 An 1860's found b&w framed tintype of an unknown Southern dentist (see pliers in his hands) is blown up, cut out, hand-colored with acrylics, photo dyes, markers, ink and gold pen. This is mounted on a late 1800's advertisement for "Dentistry Services: SCIENTIFIC!" which in turn is mounted on a period encyclopedia plate about the mouth and teeth. See an alternate version of this dentist with a Japanese toothbrush ad used as the background. It is in this gallery.